A Radical Remission is a cancer remission that occurs either without conventional medical treatment, after conventional treatment has failed to work, or when conventional and complementary methods are used in conjunction to overcome a dire prognosis. We believe that, given enough documented cases to research, the cause(s) of Radical Remission can be uncovered. That is why we created this website – to build a database of medical cases that will help us to understand why some people beat cancer against all odds. To collect and verify as many Radical Remission (RR) cases as possible — This will help us to notice common threads and eventually launch research studies that can begin testing those common threads. Collecting RR cases via this website will also help us to know more accurately how often Radical Remission happens. To connect Radical Remission survivors with current cancer patients — Sharing Radical Remission stories through this website (and our books) will give current cancer patients much-needed hope, inspiration, and social connection. 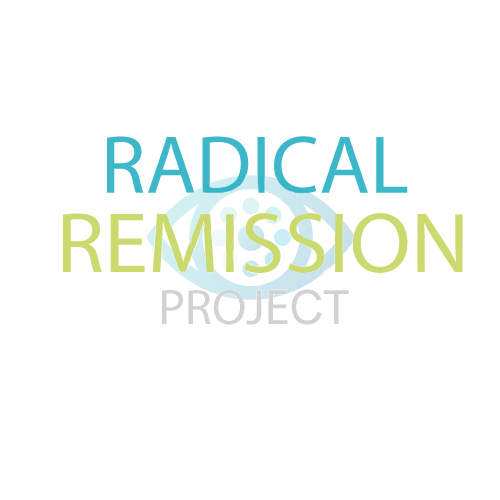 The Radical Remission Project was born out of Dr. Kelly Turner, PhD’s dissertation research on Radical Remission (RR). As Dr. Turner began to research RR as part of her PhD from the University of California at Berkeley, she realized that the opinions of two groups of people were typically missing from the 1,000+ cases of RR published in medical journals – 1) the survivors themselves, and 2) alternative healers. Because Western doctors do not currently have an explanation for why RR’s occur, Dr. Turner decided to ask these two ignored groups what they think can lead to a Radical Remission. Her dissertation research involved a year-long trip around the world during which she traveled to 10 different countries in order to interview 20 Radical Remission survivors and 50 alternative healers about their techniques for healing cancer. Since then, her research has continued, and Dr. Turner has now analyzed over 1,500 cases of Radical Remission. The findings of her research are summarized in the New York Times Bestseller Radical Remission. In addition, Dr. Turner realized that what was needed was a comprehensive, online database of all Radical Remission cases, so that she and other researchers could continue to research these cases of extraordinary recovery, and also so that the public could search for and read about these cases. Thus, the idea for the Radical Remission Project was born, and with the help of your donations and the RRP’s Advisory Board’s expertise, the RRP website continues to grow.